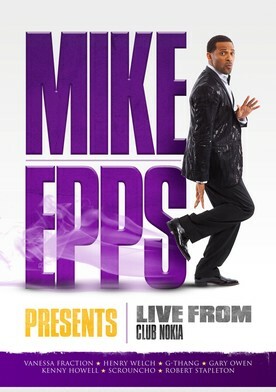 Plot: Mike Epps is back and funnier than ever as he hosts Mike Epps Presents: Live From Club Nokia. Mike Epps delivers in this stand up special and has hand-picked some of the industry’s most talented and sought after comedians, Henry Welch, Lil’ G, Vanessa Fraction and Gary Owen, to help entertain the sold-out crowd at the Club Nokia in Los Angeles. This all-star line up is in rare form and funny as ever in this unforgettable night of comedy!